Doreen Glenora James was born in Saskatchewan on March 3, 1938. 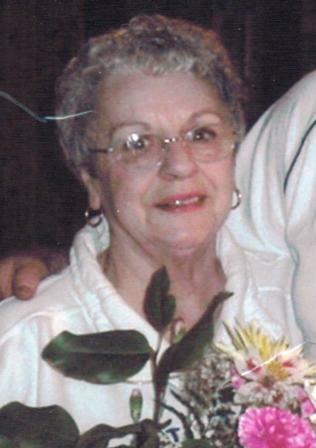 She passed away at Forest View Place in Clearwater, BC, on January 22, 2017 at 78 years of age, after a lengthy illness. Survived by her husband Doug James, Doreen was previously Mrs. Wallin, Mrs. Almis and Mrs. Beka. Doreen was predeceased by Darren Beka, Cheryl Morhardt and Dwayne Beka. Doreen loved flowers and she loved to cook. She had a great laugh and sang before many audiences as a young woman; she continued to sing and laugh until the end of her days. In earlier times, Doreen attended the Clearwater Christian Church and she loved to sing there too. Doug remembers Doreen as someone who loved driving fast cars and she never backed down from anyone! Our most sincere condolences to you and the family in your loss Doug. We will always remember Doreen’s great smile and her wonderful sense of humour. Dear Doug, I am sorry for your loss and this huge change in your life. Your love for Doreen was so huge and obvious. Your long term example of kindness, cheer, and faithfulness encourage me. God bless you in these hard days.